Phycella australis (Phil.) 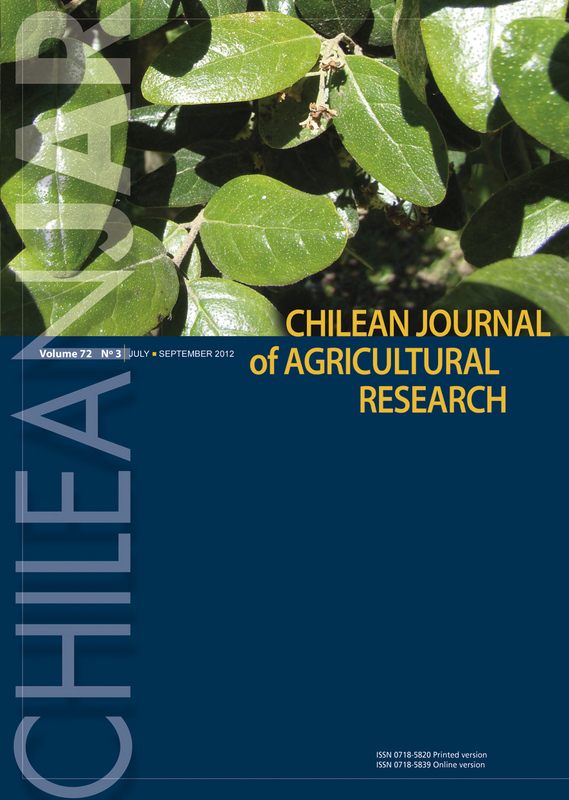 Ravenna is a Chilean plant with high ornamental potential; however, the intensive extraction as a cut flower might be detrimental for the conservational state by ignoring the state of genetic variation. The objective of this investigation was to assess genetic variability within and between three populations of P. australis in the Biobío Region using inter-simple sequence repeat (ISSR) markers. The evaluated areas correspond to three locations in the province of Concepción, Biobío Region: Desembocadura (36°48’ S, 73°10’ W), Santa Juana (36°58’ S, 72°58’ W), and Lipinhue (37°00’ S, 72°58’ W). Six ISSR primers were used obtaining 51 fragments, from which 72.5% were polymorphic. From the three evaluated sites Santa Juana showed a higher percentage of polymorphic loci (76.47%). From this variability, 83% belong to within population variability and only 17% belong to variability between populations. The dendrogram generated using the unweighted pair group method with arithmetic mean (UPGMA) method, grouped Lipinhue and Santa Juana sites together, which agrees with the geographic locations. This investigation proved that P. australis has high genetic variability despite the exploitation for economic purposes.